We at the Trumpet depend on free speech. Speech that is guaranteed not only legally by the First Amendment of the United States Constitution, but also by a society willing to countenance voices from outside the mainstream. God’s truth is definitely outside the mainstream. The Trumpet keeps a watchful eye on the ways this speech is being increasingly curtailed in public discourse by various forms of speech suppression and censorship. Among them are legal challenges against religious freedom, draconian firings of employees with “politically incorrect” views, exclusion of nonconformist guest speakers from university campuses, calls for public shaming and ostracism, even violence aimed to intimidate and silence. It appears we have just witnessed a sudden escalation in this trend. Firebrand radio host and commentator Alex Jones has some very unorthodox views, including erroneous conspiracy theories. Over a period of 24 hours at the start of this week, Apple, Facebook, Google, Pinterest and Spotify rapidly clamped down on his content. Apple removed five out of Jones’s six podcasts on Sunday. Early Monday, Facebook removed four pages controlled by Jones and Google banned the Alex Jones Channel from YouTube. Pinterest also removed its InfoWars board, and Spotify took down all episodes of The Alex Jones Show. Despite these reasons for censoring Jones’s opinions, there is no single explanation for why all five companies chose the same 24-hour period to crack down on his views. The move appears to have been coordinated by social media executives. Jones’s rhetoric is often controversial and inflammatory. But this is only the latest example of the broader, concerning problem of Silicon Valley censorship. Apple, Facebook, Google, Pinterest and Spotify are private companies, but their power to regulate the market of ideas has grown to an extent that makes them like quasi-government actors. In effect, Silicon Valley has acquired the muscle to enact de facto restrictions on free speech. Authoritarian governments in China and Iran regulate what information their citizens can access online. 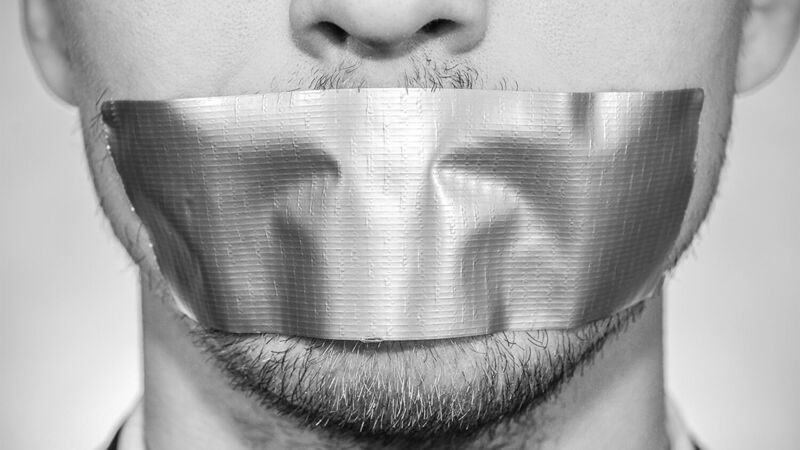 The First Amendment forbids Congress from enacting censorship laws. But that doesn’t stop these tech companies from making decisions with similar effects. As the New American Morality grows more fanatical, powerful, stringent and hostile to biblical morality, the Trumpet, by standing its ground, finds itself more on the fringe. We are well aware of an end-time prophecy where God’s message is marginalized as “the land is not able to bear all his words.” Public antagonism will combine with political force to abolish that message. “Behold, the days come, saith the Lord God, that I will send a famine in the land, not a famine of bread, nor a thirst for water, but of hearing the words of the Lord” (Amos 8:11).